Kojo Amoateng, Greater Accra Regional Chairman of the Ghana Union of Traders Association (GUTA), has commended the Kufuor and Akufo-Addo administrations for strengthening the Ghana Cedi against major trading currencies. Mr Amoateng, however, appealed to the current government to stop making comparisons with the previous Mahama administration because it was voted out of office due to non-performance. 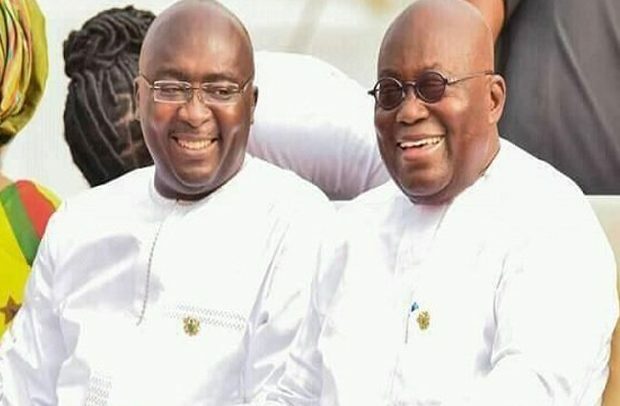 The GUTA Chair’s comment follows assertions by Dr Gideon Boako, who speaks for Vice-President Dr Mahamudu Bawumia on economic issues, to the effect that Ghanaians should not be ungrateful to the Akufo-Addo government as far as the depreciation of the cedi is concerned since the current government has done a lot to reduce the rate of fall of the local currency from 31% to 6% – a far better record, in his view, than the Mahama administration achieved. The cedi is nearing the GH¢5 to $1 mark, a situation that has set businesspeople on the edge. It means that given the chance that person has what it takes to take you to a point where you have zero depreciation and you can think of how to grow up; that is the most important. If you do not situate the argument within that context, you will just be comparing the nominal figures,” Dr. Boako argued. In his view, “It’s important to also note that we don’t run a fixed exchange rate regime, depreciation is something that will be difficult to say you won’t see at all. You try as much as possible to contain it and make sure you appreciate, but given the structure of our economy right from Guggisberg’s time to Nkrumah to today, the structure of the economy is such that we are mostly net importers, and so the trade accounts issued will affect our local currency at all times. “We also have huge exposures to foreign investors in the country – those who are doing retail businesses and the likes, so they repatriate money outside and all of these will have effect on us,” he explained. “We agree that when it comes to strengthening the cedi, the NPP administrations – the Kufuor-led government and the current Akufo-Addo administration have done far better than the NDC did under former Presidents Mills and Mahama. “We will urge the Ghanaian authorities to focus on the borders because the foreigners come into this country to trade on the black market; that is one of the reasons for the fall of the cedi,” he suggested.